Houston, Texas. Queen Bey’s birthplace. Home of the Astros. Oh, and did we mention it’s the site of the National Aeronautics & Space Administration? That’s right. NASA! Rent a Houston coach bus to take your football team to a big game. Charter a Houston school bus for a trip to the Downtown Aquarium. Book a mini coach bus for a bachelor party pub crawl in Rice Village. Whatever the journey you’ve planned, we’ll hook you up with the perfect bus. Use our easy online booking tool to get a quote in less than two minutes. What determines the price of a Houston charter bus rental? Charter bus rental prices in Houston are derived from various factors, such as the availability of buses in Houston, driver’s time on duty, total distance traveled, your trip date, and the time of the year you made your request. Our relationships with bus partners also allow us to get the best bus rates on the market. Where do you get your Houston buses from? We work with a large network of trusted bus partners across North America. 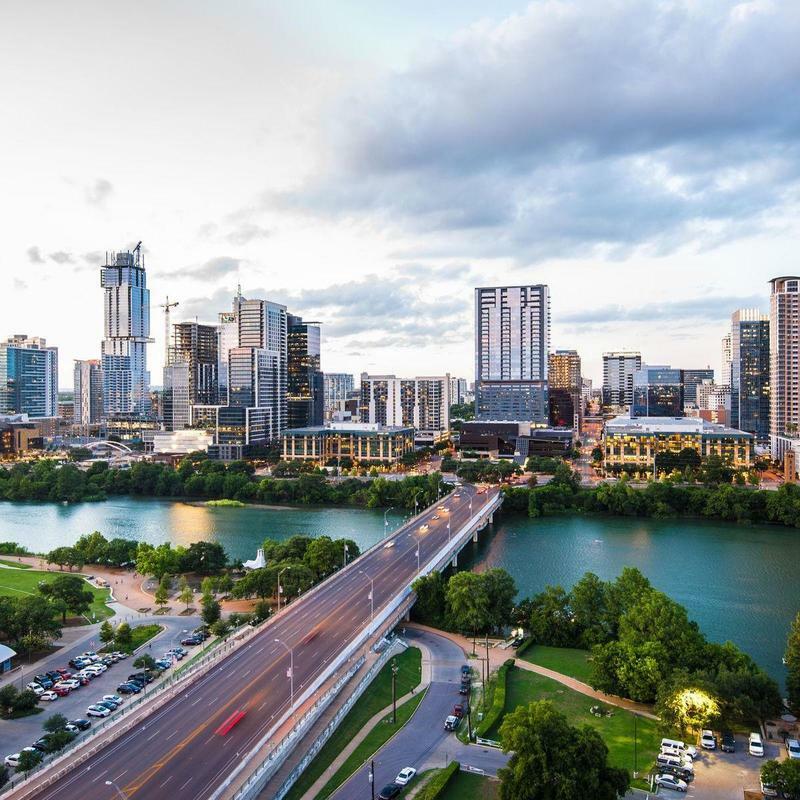 By carefully vetting local bus companies, we’re able to ensure that you receive exceptional charter bus service in Houston at competitive prices. How do I rent a bus in Houston with a driver? Each charter bus rental in Houston has its own driver, so that’s all taken care of for you! Our charter bus quotes reflect this by including the driver’s gratuity and hotel accommodations based on current industry standard. What kind of bus rentals can I book in Houston? Depending on your specific trip needs, you can book a coach bus rental, school bus rental, mini coach bus rental, or minibus rental in Houston. How soon do I have to book my charter bus rental in Houston? Prices usually rise as you get closer to your trip. We strongly recommend you rent your charter bus earlier rather than later to take advantage of lower costs. However, this doesn’t mean that you are locked in. With our Book Now, Pay Later policy, you reserve your bus, but only pay for it 21 days before your trip runs. Bus.com charters bus rentals for sports teams across North America. In Houston, we can provide you with a coach bus, school bus, minibus, or mini coach bus. Whichever bus rental you choose, book it with our easy online booking tool. Quotes are generated in less than two minutes! Early morning practices and out-of-town tournaments are hard enough on your athletes. 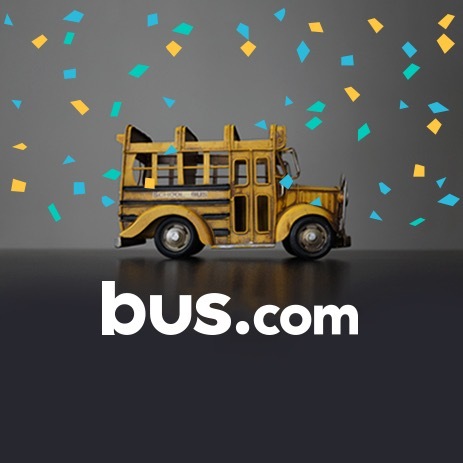 Let Bus.com ensure their transportation is restful. We handle the logistics so coaches can focus on plays, team spirit, and taking home the championship cup. A Houston bus rental is a simple and cost-effective way of keeping the team together on the road to victory. Whether you are a high school football team, an after-work softball team, or group of Astro fans, there’s a Houston charter bus ready to take you to your next event. While a school bus is fun, it’s best reserved for short trips with no luggage. For a team traveling with equipment, we recommend renting a coach bus. Heading out of town to take gold from another city? Rent a coach bus from Houston to whichever city your athletes are about to take over. The coach bus offers extra luggage space for helmets, sticks, pads, etc, as well as the A/C we all need during the Texas summer. You can even request audio-visual equipment to go over old games while you’re on the road. If your team is spread out across Houston, it can be difficult to get everyone to early morning practice. With the help of our booking specialists, rent a school bus and plan a route that transports your athletes from their beds to the field. Organizing a practice at a special facility? 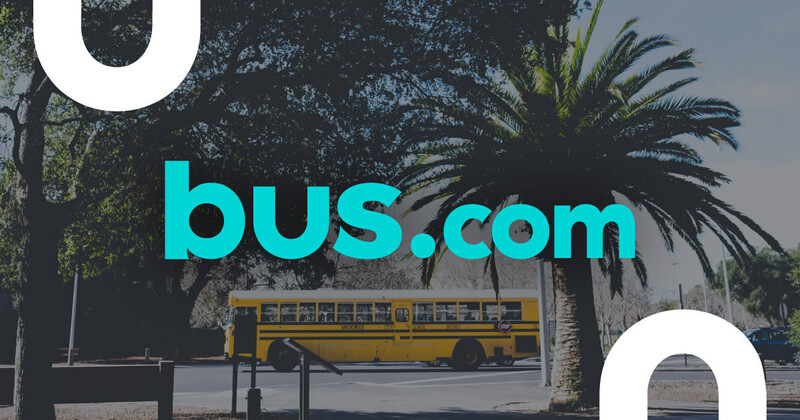 Bus.com will hook you up with a Houston charter bus to make the trip easy. Airport traffic is intense, and it’s even worse when you’re traveling with a big group of players and all their equipment. Rent a Houston charter bus to pick up your entire team at the George Bush Intercontinental Airport, and avoid managing multiple taxis. Many cabs charge a luggage fee, but a coach bus rental easily accommodates large duffle bags in its spacious undercarriage. Treat your team to some inspiration by taking them all to a pro-sports game. Whether you’re heading to Minute Maid Park for an Astros game or to the Astrodome to see the Texans, a charter bus rental is the best way to transport a big group. The school bus is the ideal vehicle for this trip. It’s affordable, simple, and fun. A charter bus in Houston is the perfect way to safely and comfortably transport your guests to, from, and between all wedding-related events. Bus.com will take care of the transportation logistics, so brides and grooms can focus on what’s important: each other. Our online booking tool provides quotes in less than two minutes, making it easier to budget your wedding shuttle bus. Wedding planning is a blast! You’ll select flower arrangements, choose the song for the first dance, sample caterers and cakes, and try on dresses. Let Bus.com organize transportation, so you can focus on sipping champagne in the bridal fitting room. Our booking specialists are well acquainted with Houston bus rentals, and ready to provide advice. Charter bus rentals are the thread that seamlessly sew the ceremony, reception, and any other wedding events together. Don’t leave your guests to wonder where they should be. Simply point them to a bus. Your family and friends will thank you for providing wedding shuttles, allowing them to enjoy a few cocktails. For many of your guests, your wedding might be their first chance to visit Houston. They could get lost, fret over unfamiliar parking restrictions, and forget to have fun. Rent a school bus to shuttle your guests from the ceremony to the reception and back to the hotel. You can even decorate your bus rental with flowers, leaves, or streamers to make the transportation feel as special as the main event. Well, almost. Rent a party bus and throw a bachelor or bachelorette party, Houston-style. A party bus will take your groomsmen or bridesmaids to some of H-town’s favorite activities. Book a table at a dueling pianos bar or bring your putters to a Top Golf driving range. However you choose to treat the bride or groom, use a Houston bus rental to take the fun on the road. Brunch at the Bloom & Bee in the Post Oak Hotel and a rejuvenating morning at the Milk and Honey Spa is the perfect way to get in the wedding spirit. A Houston charter bus ensures that all your out-of-town guests get from venue to venue without worrying about parking or directions. Depending on the size of your bridal shower guest list, rent a school bus or minibus for the occasion. The engagement party is where is it all begins. It’s the parents’ chance to celebrate the newly affianced couple and get everyone ready for wedding season. Set the VIP tone for the whole affair by picking up your guests from the hotel in a school bus rental. Charter buses help avoid the parking issues and GPS hiccups that come along with multiple cars. Our booking specialists can plan a route with multiple pick-up points if you’re guests are staying at different hotels. Whether you’re traveling for an industry-wide conference or an off-site meeting, a bus rental is the simplest and most cost-effective way of transporting your colleagues. Bus.com organizes company transportation all over Houston, and our booking specialists are ready to handle your next corporate trip. Use our online booking tool to get a quote in less than two minutes. The simplest way to access Houston bus rental companies is through Bus.com. Our online platform lets you pick your bus type, choose your amenities, and get a free quote in minutes. Budget your corporate transportation effectively with our Book Now, Pay Later policy. Our booking specialists are ready to answer all your questions. For the sake of company morale, it’s important to get your colleagues out of their seats and on the road. Wherever you choose to take your employees, there’s a bus to suit your trip. When selecting your bus size, consider the following: Minibus rentals and mini coach bus rentals transport up to 20 people. School buses and coach buses can handle bigger teams of 45-55 people. Transportation for team-building outings is easy with a Houston charter bus rented through Bus.com. Select a coach bus or mini coach bus to ensure your group is rested and prepared for the challenge of a scavenger hunt, networking event, leadership training day, escape room, or outdoor adventure. Off-site meetings are a great way of making special announcements special. Take it up a notch by covering your employees’ transportation. Depending on the size of your team, a minibus or school bus rental will accommodate your colleagues. For more austere occasions, like the introduction of a new executive, rent a coach bus for extra comfort. Whether you’re heading to the Texas Training & Conference Centers or the George R. Brown Convention Center, arrive all together and avoid parking frustrations with a Houston bus rental. When you pull up to the venue, you’ll want to do it in style. We recommend renting a coach bus for your conference or tradeshow arrival. A coach bus offers more comfort so employees arrive fresh and ready to network. If you’re visiting Houston for business with a large group, have a charter bus rental meet you at the George Bush Intercontinental Airport. The coach bus has a larger undercarriage to hold your group’s luggage on the way to the hotel. Should you need to transfer from one hotel to another, a bus rental is far more convenient than several cabs (especially since cabs tend to apply an extra charge for luggage).